Watch the cruise ships sail by. Enjoy the docks while the daily catch is brought in. 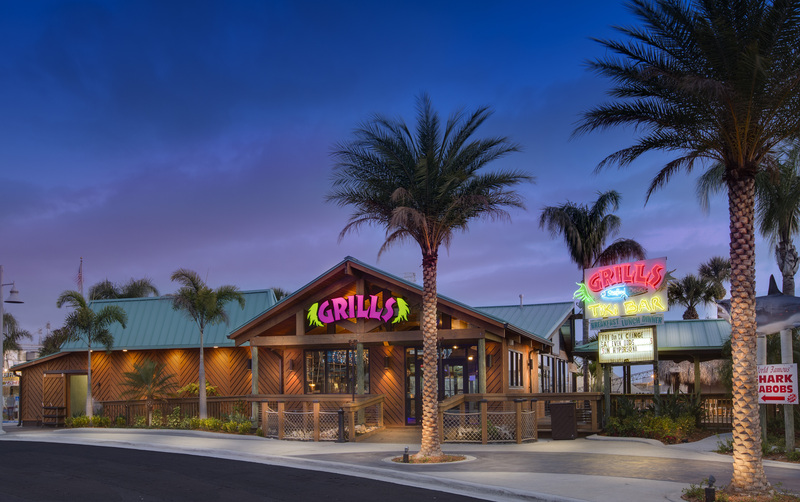 Located in Port Canaveral next to Cruise Terminal 1, our waterfront dining room and outdoor Tiki bar and stage are the best around. Dine outside and enjoy waterfront Florida at its finest or if air conditioning is your thing, sit inside and enjoy the view of passing ships though the full height panoramic windows. Expect to see cruise ships like the Disney Magic and Wonder or the luxurious liners from Royal Caribbean pass right by on their way out to sea. Fishing vessels of every size will be constantly flowing past our waterfront deck. We serve the best seafood in the area and the Tiki bar is a favorite place to order tropical drinks and kick back.